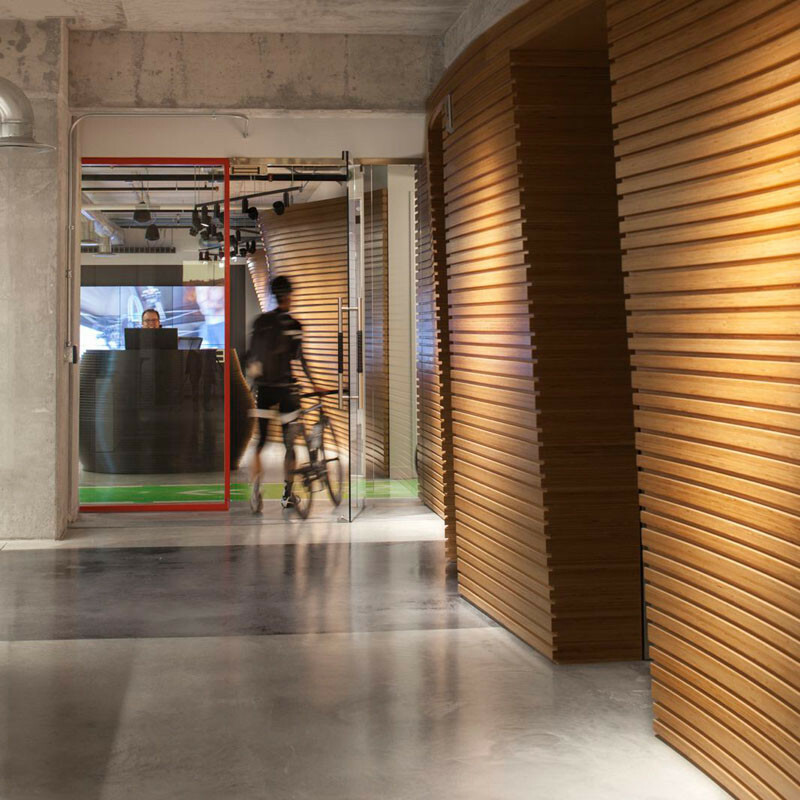 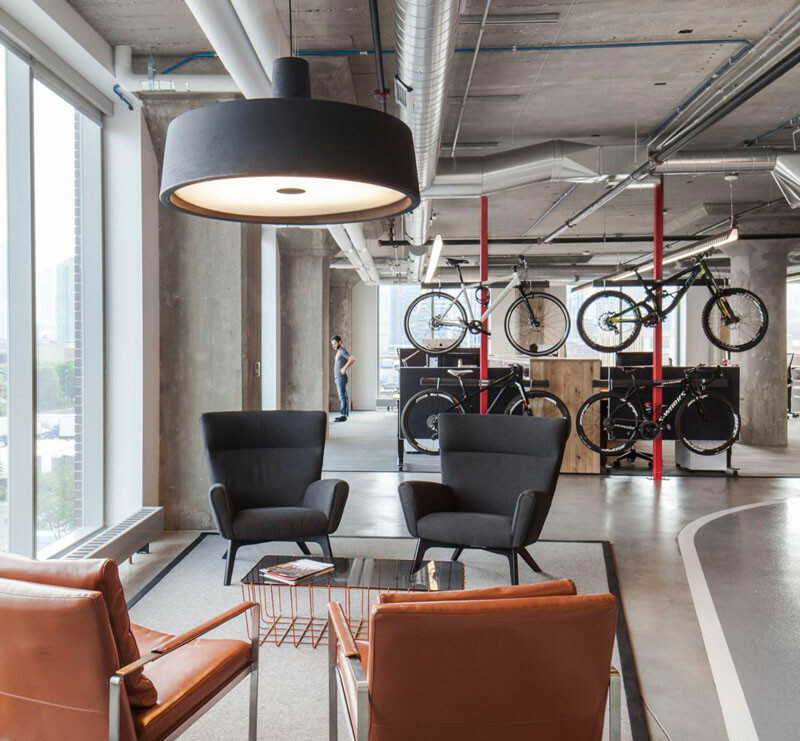 Located in Chicago, Illinois, their new office is all about cycling, including a 1/8 mile test track that winds through the office, connecting all of the different areas together. 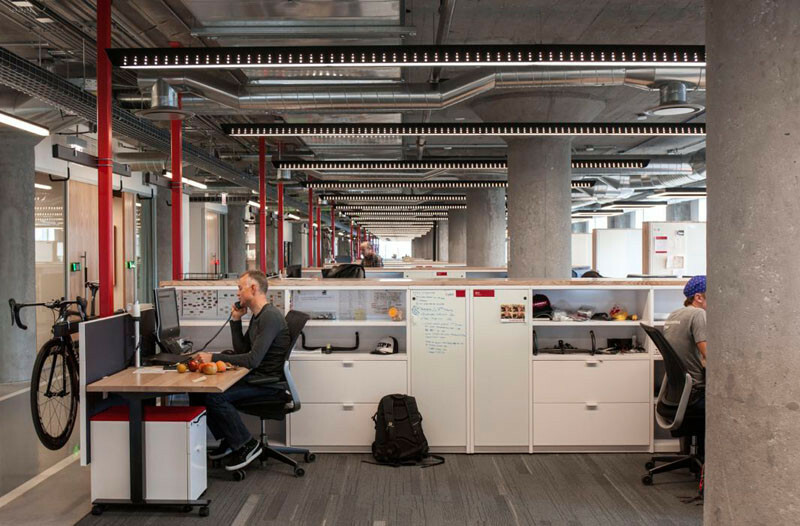 There is regular office space, as well as plenty of open and enclosed meeting spaces. 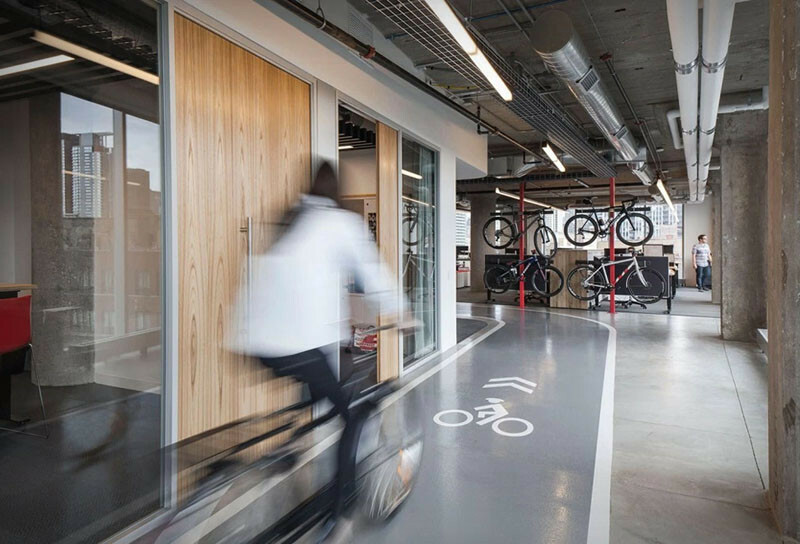 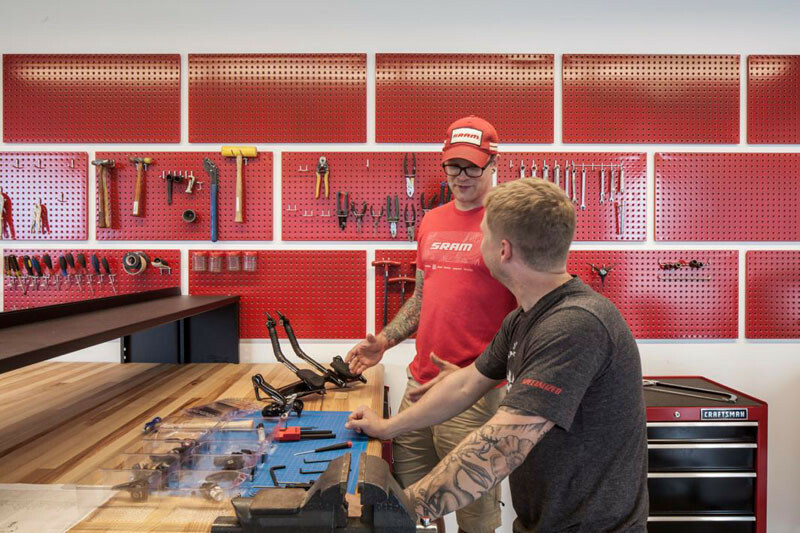 Bike storage isn’t a problem, as there are a lot of storage spots for commuter bikes and test bikes throughout the office. 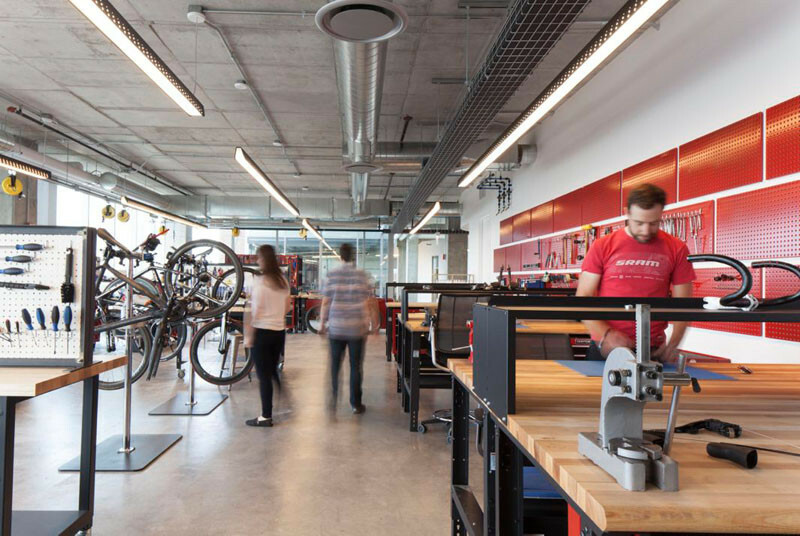 The offices also have a workshop for making and testing components. 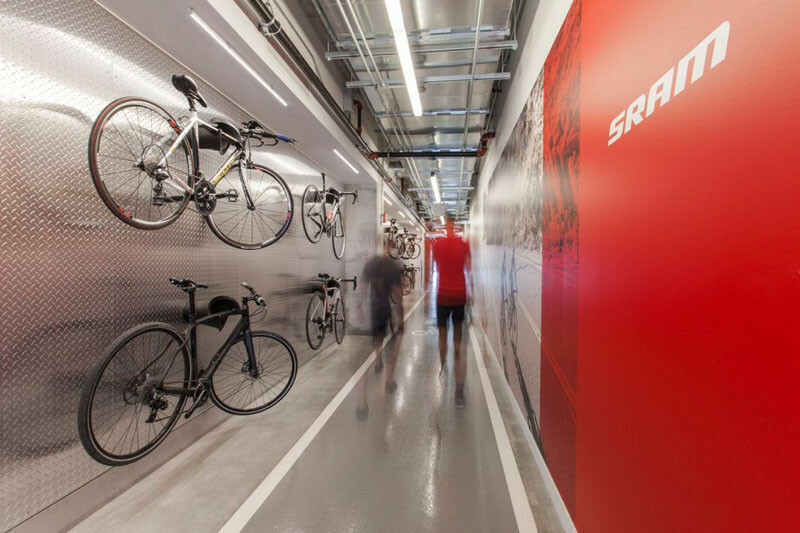 And for staff members that ride their bikes to work, there’s also a locker room for storing your bike gear. 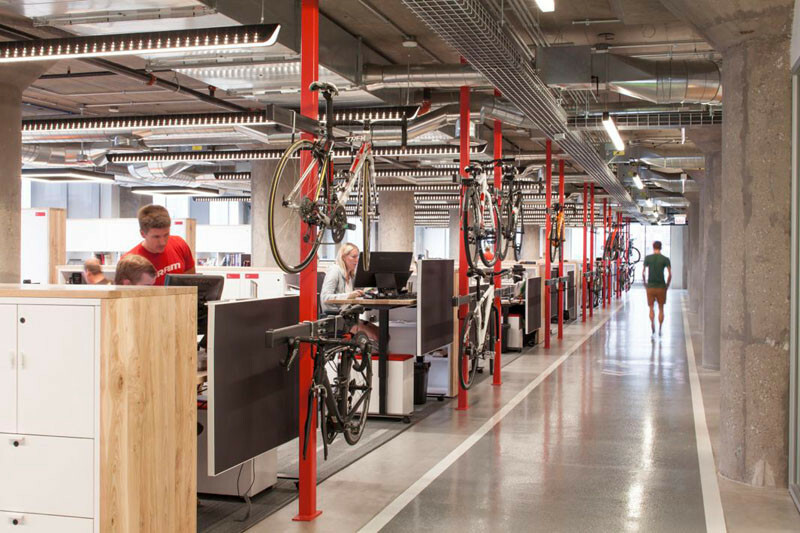 You can see more by watching the video about the office below.